Oregon women joined millions of women across the country who found meaningful employment in war-related industries. Women who had been restricted to particular jobs—or to no jobs at all because of their gender and race—worked with men in factories and farms The increased democratization of the labor force in the United States during World War II was a consequence of the desperate need for workers to begin working immediately. Because of the draft, which took many men out of the workforce, the tens of thousands of government-contracted jobs that were opened to Oregon women were the highest-paying and often the most interesting jobs most women had ever held. Many women moved to Oregon to take jobs, but most of those who were engaged in war-related employment were already living in the state. 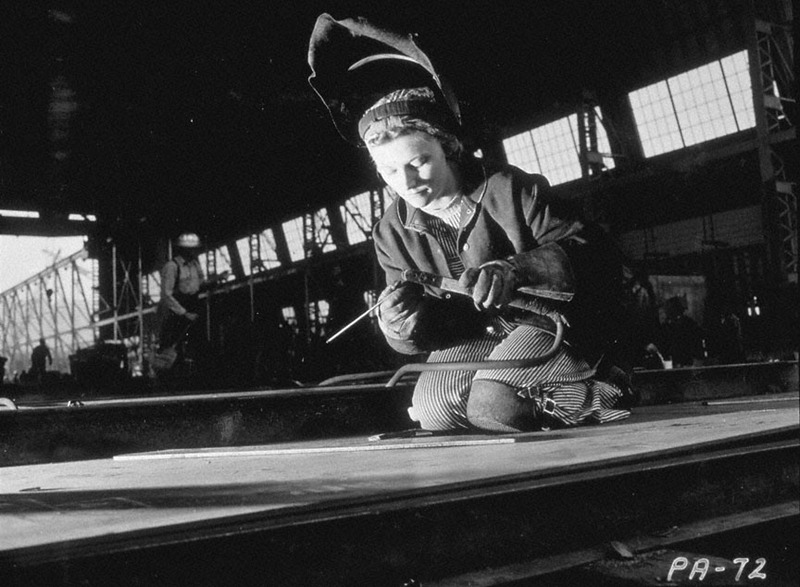 By 1943, women made up 65 percent of new hires in Oregon shipyards. Beginning in February of that year, about a thousand workers a week were trading their non-war-related jobs for war-production employment. What happened when these thousands of women exchanged their traditional low-paying unskilled jobs for those that required skills and earned them higher pay? Some women making three dollars a week as domestics were suddenly making up to $230 a month as welders in the shipyards. They had money to spend and could buy houses and farms, pay for college, afford childcare, and influence consumer trends. Federal, state, and local governments could see the cultural shift resulting from the massive labor recruitment campaigns for women workers—a shift that caused anxiety in the male workforce unused to competing with women in the labor market. 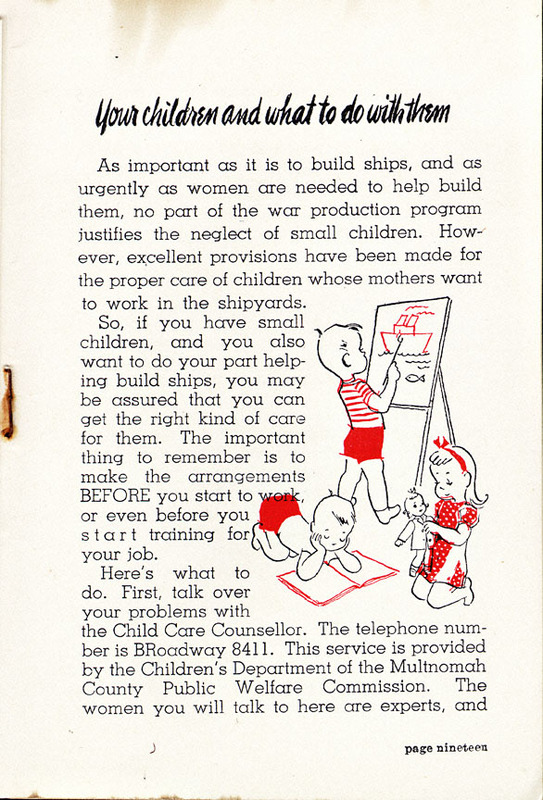 The War Department responded to that anxiety by distributing propaganda characterizing the return to prewar employment conditions as a patriotic duty. 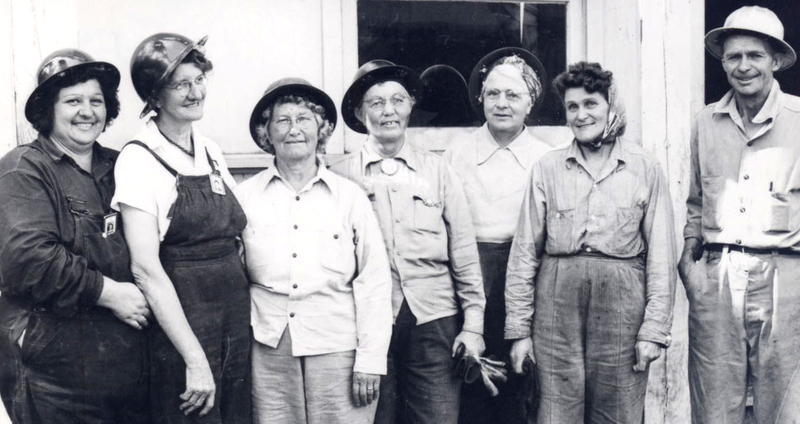 "Grandma Crew" at the Oregon Shipbuilding Co. The lucrative shipbuilding contracts given to Oregon shipyards during World War II created new job opportunities for women, who were recruited to fill jobs left open by men drafted into the armed services. The jobs were well-paid and interesting, which attracted women from all over the region. 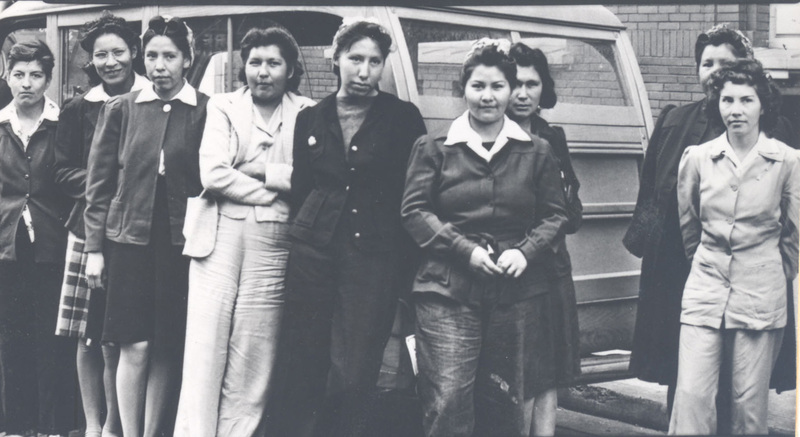 Although most women who worked for shipyards were already in the workforce in some campacity, many women who had either retired or had never worked showed up at the employment office. Read More. Beatrice Marshall was interviewed by Christine Poole and Madeline Moore as part of the Northwest Women’s History Project. In this transcribed excerpt of her interview, she recalls her experiences in Portland’s shipbuilding industry during World War II. An unabridged version of this transcript can be viewed at the Oregon Historical Society’s research library. 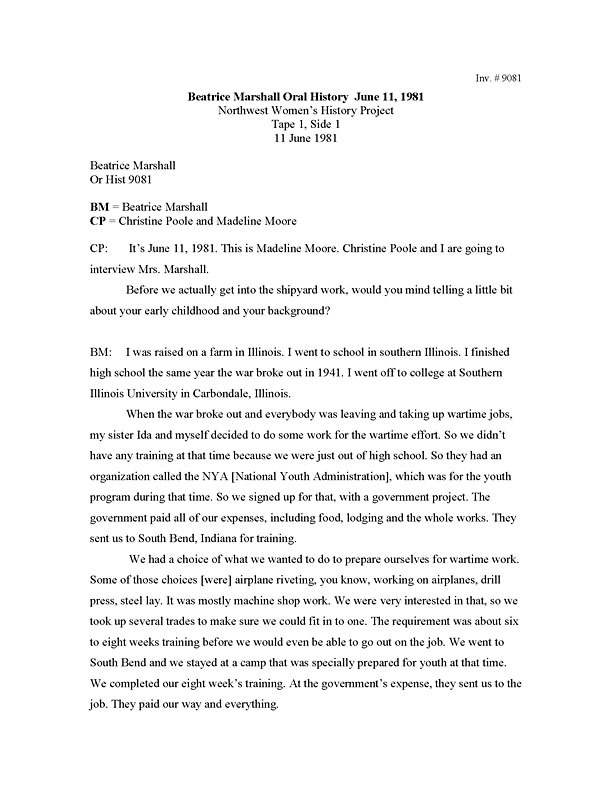 After receiving specialized training for war-time industrial labor, Beatrice Marshall and her sister Ida moved to Portland to exploit their new skills in the city’s shipbuilding industry. Because the war had sapped the nation’s industrial workforce of a large portion of its male workers, industrialists like Henry J. Kaiser began to hire women in large numbers. Like many other women, Beatrice and Ida hoped to take advantage of the newfound employment opportunities. Unfortunately, the two sisters found that the color of their skin precluded them from most job prospects that were available to white women. Regardless of their specialized training, they were confined to jobs that required them to either push a broom, scrub floors, or scrape paint. 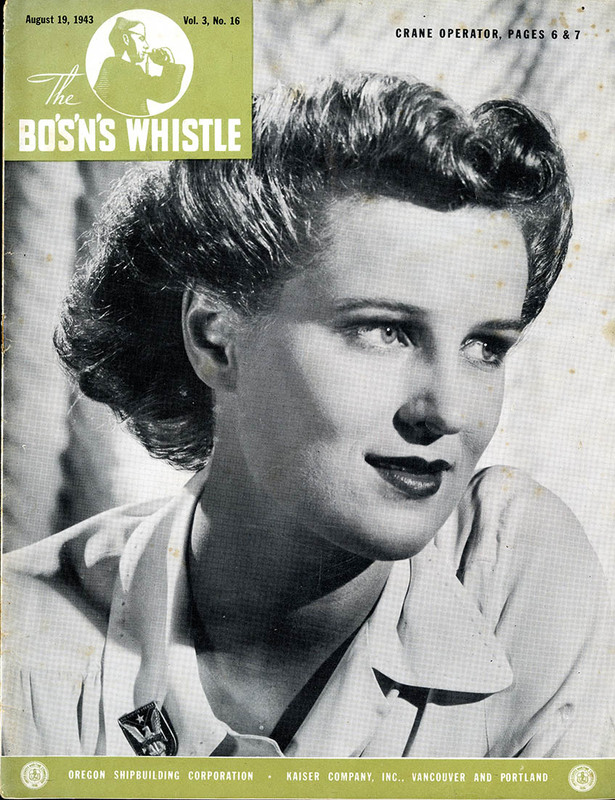 The Bo’s’n’s Whistle was an in-house publication distributed to employees of the Oregon Shipbuilding Corporation (OSC), owned by Henry Kaiser. The name comes from the bosun’s whistle, an instrument used by naval boatswains to alert crewmembers to ship commands. Kaiser built and operated three shipyards between 1941 and 1945—two in the Portland area and one in Vancouver, Washington— which employed tens of thousands of men and women. 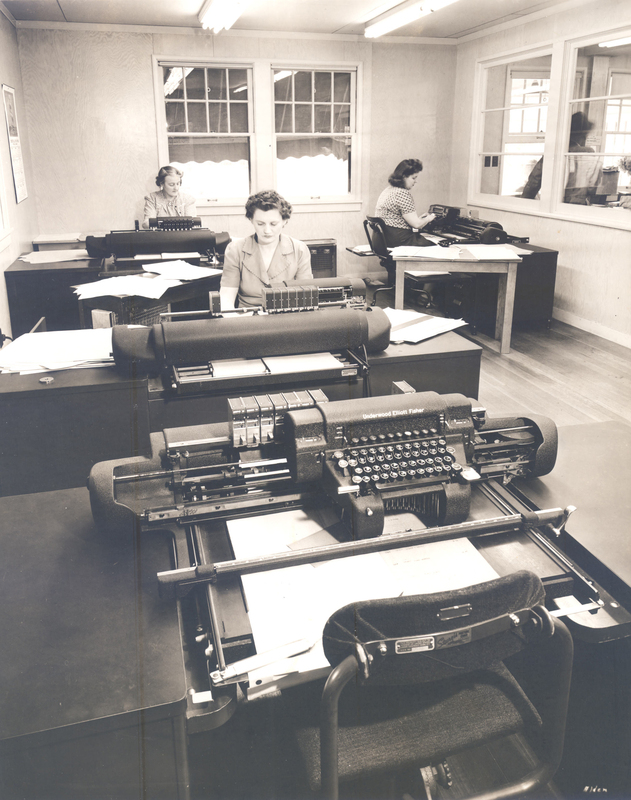 During World War II, women were actively recruited for employment in the nation’s defense industries. In Oregon that meant laboring in the shipyards. Such employment proved attractive, offering working women a considerable advance in wages and the opportunity to perform skilled labor previously the domain of men. In addition, many valued the work as a substantial contribution to the war effort.